ZIP and RAR file format allow easy sending and sharing of multiple files as one single archive file. Ideally, when we receive a ZIP or RAR archive file, we download it and then unzip it to view contents. Downloading and file extraction is done, even when you only want to preview contents of the ZIP or RAR file – how about eliminating this step of downloading archive file on computer and reducing clutter on your computer? We can easily do this using in-built online ZIP and RAR viewer functionality in Gmail and Google Docs, powered by Google Docs viewer. 1. 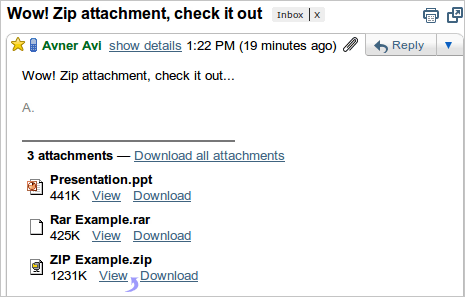 Open email message that has ZIP or RAR file as attachment in your Gmail inbox. 2. Click View button next to ZIP file listing in the attachments section. 3. 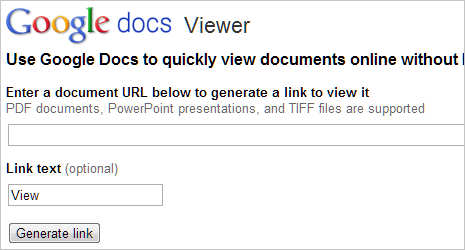 This will open Google Docs viewer, showing content of that ZIP or RAR file you have received on Gmail. For sure, a very handy addition to Google Docs Viewer for opening and viewing contents of ZIP and RAR archive files online without having to download (and extract) them on local PC. We can do it all online and keep PC free from files clutter, what say? 1. Use Open RAR File online tool for extracting and viewing RAR archive files. 2. Unzip Zip files online using very handy online service at Wobzip. 3. Use 7-zip, a free download-able software for Windows to unzip and extract various types of archive files like RAR, TAR, gZIP and ZIP.